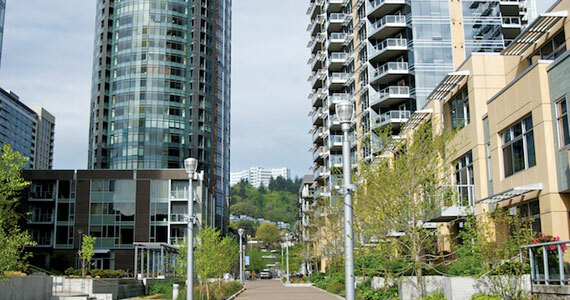 The South Waterfront (including the River Place area) is a fairly new development in Portland along the west banks of the Willamette River, on the south side of town. It consists of high rise buildings and some townhomes, with businesses and restaurants cropping up in the area to support the developing population. Construction began in the early 2000s and the area continues to be developed today. The area is well served by the Portland Streetcar as well as the Max Orange line. There's a nice neighborhood website and also a city site with the latest information on the development of the South Waterfront Greenway. To see the listings on their own page, click this link: Homes for sale in Portland's South Waterfront.